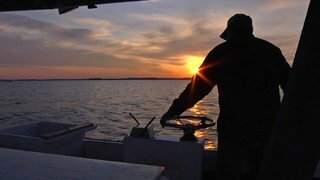 » Visit the annual Chesapeake Bay Week® website. Chesapeake Bay Week® (held every April) offers programming that spotlights the history, heritage and splendor of the Chesapeake Bay. Stories of past and present offer a lively, local and insightful look at this mighty yet fragile source of wonder - and help put the future of the Bay in perspective. The week culminates with a concert which also encourages viewers to commit volunteer hours to support Bay preservation. The Chesapeake Bay–the nation's largest estuary–got its name from Chesepiooc, an Algonquian word referring to a village "at a big river." It was described by H.L. Mencken, the sage of Baltimore, as "an immense protein factory." As such an important part of our state's history and its identity, Maryland Public Television (MPT) celebrates this important natural resource and highlights its most critical issues during this special week. The only programming initiative of its kind in the Chesapeake Bay Watershed region, Chesapeake Bay Week® is part of MPT's year-round, ongoing commitment to the bay and our environment.